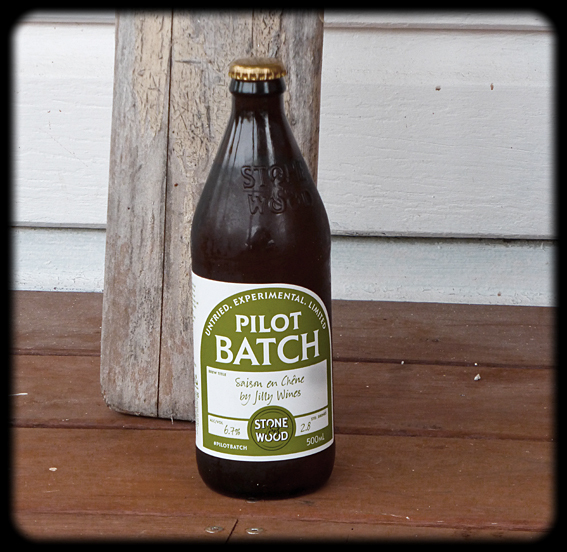 “Untried, Experimental, Limited” is the motto of Stone & Wood‘s Pilot Batch series. At first taste, that motto about summed up this particular brew for me. Saison en Chene, made in collaboration with Jilly Wines from nearby Clunes was not immediately a great match for my palette. The overwhelming aroma is of yeasty sourdough and at first I thought this was a wheat beer (of which I’m not a great fan). Had I read the label properly, I would have realised it was a ‘Saison’, traditionally a strong, fruity, pale ale with plenty of spice and fizz. The fruit that comes through most strongly with this one is bananas, reminding me somewhat of Hoegaarden ……. strangely a wheat beer I’m quite partial too. However, this beer grew on me as I worked my way down the glass and, like most beers, by the time I’d finished it, I was ready for another! Warning: at 6.7% this one could creep up on you. From the Saison we get season. Here’s a very thirsty Paul Weller with the wonderful ‘5th Season’…….